Oprah Winfrey is Coming to Dinner... Will You Join Her? 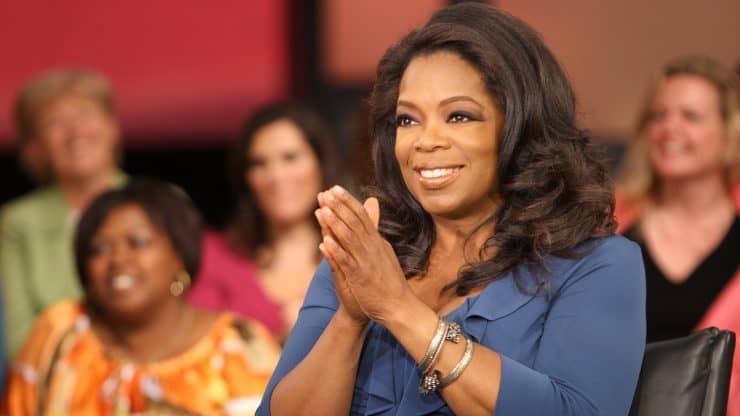 Oprah Winfrey is Coming to Dinner… Will You Join Her? Oprah Winfrey, a name most associated with television, literature, philanthropy and dieting will be able to add “recipe developer” to her resume as “O, That’s Good”, her new brand of refrigerated comfort foods hit store shelves this week. The 63 year-old pitchwoman for Weight Watchers worked with chefs to create some of her favorite foods with a “nutritious twist”. According to USA Today, “It all started with the idea for the cauliflower mashed potatoes – the twist is really what sparked this whole idea,” Winfrey said. “I was sitting at my table in my own home and had whipped up some cauliflower, trying to make myself think I was eating mashed potatoes, but it was not working. So I thought, “What if I used a portion of the mashed potatoes and added the cauliflower? Then I would have a substantive mashed potato-cauli dish.” And that’s exactly what she did. Not only is O, That’s Good a healthy and delicious option but it is also quite affordable with a suggested selling price of $4.99 for soups and $4.49 for sides. To sweeten the deal, Oprah promises on the O, That’s Good website that “Ten percent of Mealtime Stories’ profits will be equally split between charitable organizations Rise Against Hunger and Feeding America to support the fight against hunger. Her inaugural debut of soups and sides include comfort foods such as Broccoli Cheddar Soup and Three Cheese Pasta, each with a twist of butternut squash; Baked Potato Soup, Original and Garlic Mashed Potatoes, all with a twist of cauliflower; Creamy Butternut Squash Soup with a twist of sweet potatoes and carrots; Creamy Tomato Basil Soup with a twist of celery and carrots; and Creamy Parmesan Pasta with a twist of white beans. Each soup and side is made with real ingredients and no artificial flavors or coloring. Which one of Oprah’s new soups and sides sound most delicious to you? Do you have a favorite dish that is both healthy and delicious comfort food? Will you look for these new products in your local super market? Join in the conversation!